Back in the 1970’s, I was part of a tribe, one of the many, pale slender ballet girls that walked the avenues—Seventh, Eighth, Broadway—where so many of New York City’s dance studios were then located. With our hair scraped back into punishing buns, and our oversized bags in which we lugged our paraphernalia, we were instantly recognizable, especially to each other, and we displayed a devotion to our art that was almost religious in its single-mindedness and its fervor. Class six days a week, sometimes twice daily in the summer; student rush tickets for performances at Lincoln Center and City Center in the evenings; high school, with its geometry exams, field hockey games and debate teams a mere blur—this was how I spent my formative years. And then, in a blink, it was over—but that is another story. Suffice it to say that although my life veered off in a different direction, my love for the beautiful rigors and rigorous beauties of that early training remained unchanged. 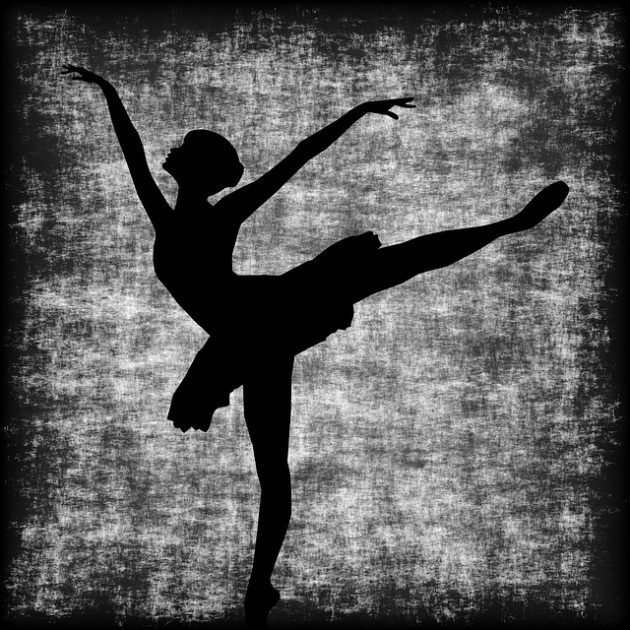 My first novel, The Four Temperaments, was set in the ballet world I’d left behind, and even though it was written three decades later, the book became a waiting vessel into which I could pour all the passion of my past. So when I chanced upon the New York Times obituary of the ballerina Yvette Chauviré, who died in her home in Paris at the age of 99, I read it with more than a passing interest. The obit mentioned another dancer of the period—Solange Schwarz. Solange was clearly French. But Schwarz? Could have been German. Or Jewish. Intrigued, I dug up a little more. Born November 12, 1910, daughter of the famous Paris ballet teacher Jean Schwarz, she studied at the Paris Opera Ballet School and joined the company in 1930. In 1932 she was made étoile (star) of the Opéra Comique and after returning to the Opera in 1937 she was promoted étoile there in 1940. Blonde and petite, her physical delicacy belied her technical precision and she became a favorite Swanilda in the comic ballet Coppelia. She also created roles in several ballets by renowned dancer and choreographer Serge Lifar, such as Entre Deux Rondes (1940) in which she took the role of Degas’s little dancer, Le Chevalier et la Demoiselle (1941), and Sylvia (1941). After the war, she and Lifar left the Opera. She was a ballerina with Ballets des Champs-Elysées, returned to the Opéra Comique, then guested with Grand Ballet du Marquis de Cuevas and Bejart’s Ballet de l’Étoile de Paris. After she retired in 1957, she taught at the Paris Conservatoire for 20 years. These were details of her life, but I could find no reference to her death, and what I did uncover left me more curious than satisfied. Plus the fact that she danced in Paris during the German Occupation made me rethink my original supposition. What Jewish dancer in her right mind would have called that kind of attention to herself? But in my effort to learn more, I made another startling discovery: two of the five most important ballerinas of the 20th century were, in fact, Jewish and that a third, arguably the most famous of all, had a Jewish father. Two out of five, especially from a minority that is only one half of 1% of the world’s population is an impressive demographic. And if we stretch it to three—well, you get the idea. More recently, Jewish women (and men) could be found in the many major companies—Susan Jaffe at American Ballet Theater, Melissa Hayden (nee Mildred Herman), Nora Kaye (nee Nora Koreff) and Jillana (nee Jill Zimmerman) at the New York City Ballet, Joanna Berman, at the San Francisco Ballet—but apparently we were a significant presence in the past as well. Take, for instance, Dame Alicia Markova. Born Lillian Alicia Marks on December 1, 1910 (the same year as Solange Schwarz) in North London, Markova was the first of four daughters born to Arthur Marks, a mining engineer, and Eileen Barry, an Irish Catholic girl from County Cork. The couple met while in their teens and eventually married after Eileen converted to Judaism. A strong Jewish influence in Alicia’s youth was her Orthodox paternal great-grandfather, Abraham Marks, with whom the family lived briefly when Markova was very young. Abraham was a theatrical costume supplier; Alicia and her sisters would play in his storeroom. A frail and sickly child, Markova originally started dancing because a doctor said ballet exercises would help her flat feet and weak knees. But it quickly became clear that she was a natural: gifted, musical and possessed of a compelling stage presence. She made her professional debut at age 10, and four years later she was dancing for the legendary Serge Diaghilev. That’s when he changed her name, in keeping with the contemporary idea that all great ballet dancers were Russian. Devastated by Diaghilev’s death in 1929, she returned to London, where she worked with the Ballet Club and the Vic-Wells Ballet (later The Royal Ballet), helping to develop these fledgling companies. In 1935 she and Anton Dolin formed the first Markova-Dolin Ballet, which toured extensively around Britain, bringing ballet to new audiences. Starting in 1939 she followed much the same path in the United States; by the late 1940s, she was traveling the world as a guest artist. She never forgot her Jewish heritage, and performed in benefits in NY to fund the Mann Auditorium in Tel Aviv. In 1958, she toured Israel with Festival Ballet, a proud culmination. Her post-performance years were very active and she worked until just a few months before her death, on December 2, 2004, in Bath, England, the day after she turned 94. Maya Plisetskaya was another ballet megastar whose Jewish identity was an utter surprise to me. Born in Moscow on Nov. 20, 1925, her mother, Rakhil Messerer, was a silent-film actress and her father, Mikhail Plisetsky, a Soviet mining and diplomatic official. In 1938, he was shot to death in Stalin’s purges. Then her mother was arrested, sent to a labor camp and then exiled to Kazakhstan. Her maternal aunt and uncle, Sulamith and Asaf Messerer, both famous soloists at the Bolshoi, took Maya in, saving her from the orphanages where children of “enemies of the people” were usually relegated. And it was Aunt Mita who brought 8-year-old Maya to the Bolshoi Ballet Academy; Maya was a star from the get-go. Plisetskaya joined the Bolshoi Ballet company when she was 18, and rose quickly to become their leading soloist. In 1949, she danced at Stalin’s 70th birthday celebration. Mao Zedong was among the guests. “Years later, I admit it, I was simply afraid of meeting Stalin’s gaze,” she wrote, saying she avoided looking the Soviet dictator’s way during her bows. “I would like to talk about ‘Sleeping Beauty’ and ‘Swan Lake,’ about my battements and my handsome partners,” she wrote. “But whichever way I look at my childhood, it all revolves around politics and Stalin’s terror.” Her Jewish background only exacerbated that terror. Her 1991 autobiography, I, Maya Plisetskaya, was frank in describing the various indignities to which the repressive Soviet system subjected its dancers. Until 1959, she was not allowed to tour abroad. That year, she was finally allowed to go to the United States with the Bolshoi. But the Soviet bureaucracy confiscated almost all of a dancer’s tour earnings, and she claimed that many dancers on tour subsisted on dog and cat food — “cheap and full of vitamins,” she wrote. (Others who have studied the Bolshoi of that era say her claim was an exaggeration.) Yet although deeply embittered both by her parents’ ordeal and by the repression she had experienced as an artist, she did not defect from the Soviet Union, unlike so many others of her era. In 1960 she ascended to the coveted title as prima ballerina assoluta of the Bolshoi. She retired in 1990, and the 1991 autobiography offered a penetrating look at what it meant to be a Jewish artist in Soviet Russia. But the most surprising revelation of all was about Anna Pavlova, who for so many people is the ultimate embodiment of the classical ballerina. She was born Anna Matveyevna Pavlovna Pavlova on February 12, 1881, in St. Petersburg, Russia. Her mother, Lyubov Feodorovna was a washerwoman. Her stepfather, Matvey Pavlov, was a reserve soldier. The identity of Anna Pavlova’s biological father is unknown, though biographers now speculate that her mother had an affair with a Jewish banker named Lazar Poliakoff. Anna did not know this as a child and was raised as Russian Orthodox. In 1899 Anna graduated the St. Petersburg Imperial Dance School; she was 18. On September 19, 1899, she made her company debut, dancing in a group of three in La Fille Mal Gardée. The performance took place at the Mariinsky —the same theater where, as a child, Anna Pavlova had first decided to become a dancer. Her career blossomed quickly. And in 1905, Anna Pavlova had her breakthrough performance, dancing the lead solo in choreographer Michael Fokine’s The Dying Swan, with music by Camille Saint-Saëns. Anna didn’t so much dance the role of the swan as become it, growing weaker yet more exquisite as her time on earth was drawing to a close. The Dying Swan was to become Anna Pavlova’s signature role. Anna continued to rise quickly through the ranks. By 1906 she had already successfully danced the difficult part of Giselle and she was promoted to prima ballerina. She spent the years 1907-1908 touring, joined Sergei Diaghilev’s Ballet Russe in 1909, and toured the United Kingdom and the United States in 1910. In 1911 Anna Pavlova formed her own ballet company. She put her husband, Victor Dandré, in charge of organizing her independent tours. For the next two decades, she toured with her company all over the world. In 1930, when Anna was 50 years old, she began to feel worn out from her exhausting schedule and decided to take a vacation after wrapping up a particularly arduous tour in England. At the end of her vacation, she boarded a train back to The Hague, where she planned to resume dancing. On its way from Cannes to Paris, the train was in an accident. Anna was unharmed but she was left waiting out the delay for 12 hours on the platform. It was a snowy evening, and she wore only a thin jacket over her flimsy silk pajamas. Within days of the accident, she developed double pneumonia and her condition quickly worsened. On her deathbed, Anna asked to see her swan costume one last time. She died in The Hague, Netherlands, on January 23, 1931. Her ashes were interred at Golders Green Cemetery, near the London house where she had lived with her husband and the pet swans she had tamed. I still haven’t found the answer to my question about Solange Schwarz, though I am grateful that my curiosity about her prodded me to learn—and think—about the other world-renowned ballerinas who were Jewish. The Bible tells us that after crossing the Sea of Reeds, Miriam led the women in singing and dancing; as Jewish women, dancing is in our blood, our bones, our history. It is possible to see these glorious 20th century ballerinas as part of an ancient tradition. They may have traded the tambourines for the exaltation of pink satin and tulle but the impulse that guided their nimble steps is the same.